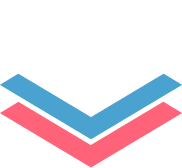 Bit's documents are smart enough to read any weblink and automatically transform that link into visual content. Just enter any weblink (https://examplebitlink.com) on a blank line and hit enter. Bam! The content will show up beautifully. With Bit you can copy and paste any Google Slides weblink on a blank line of a Bit document and hit enter. No more dealing with messy iFrame/embed code! 👉🏼 1. 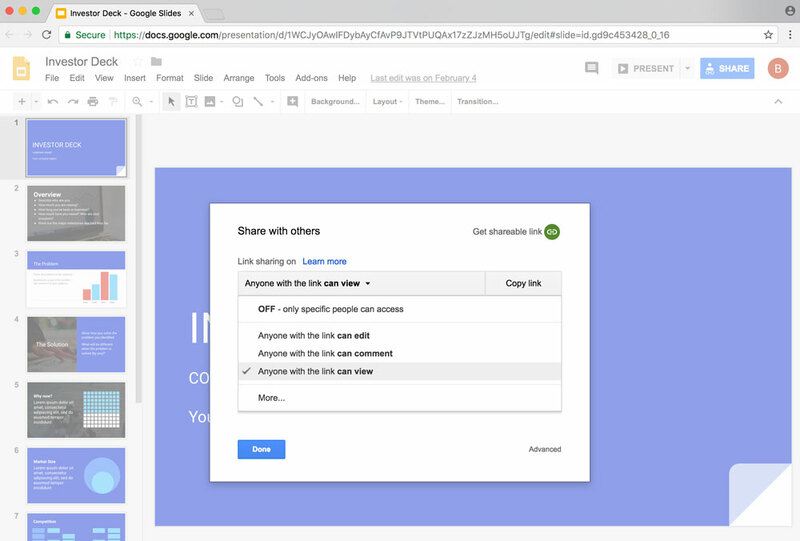 Click the share button for your Google Slides weblink. 👉🏼 2. Customize your shareable link. We recommend that you choose 'Anyone with the Link can View.' You can do so through the dropdown menu above the shareable link or by clicking on the 'Advanced' button on the bottom right corner. 👉🏼 3. 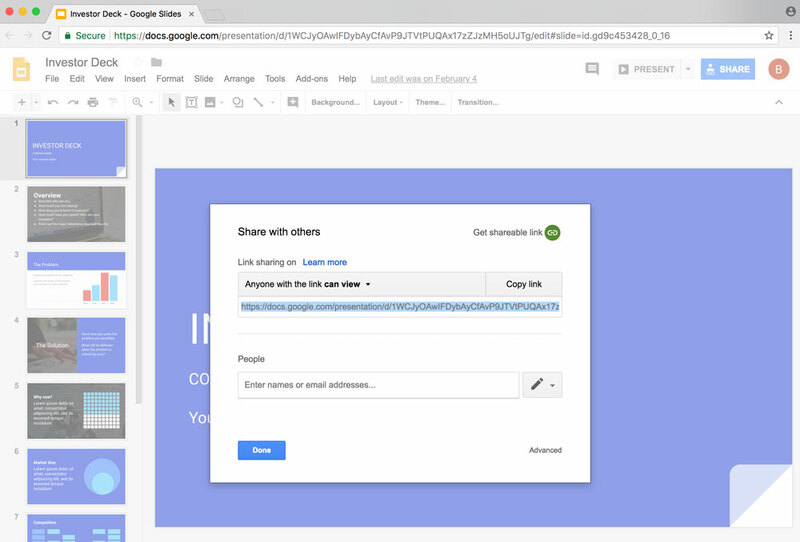 Copy the Google Slides shareable link. 👉🏼 4. Go to Bit.ai and paste the Google Slides weblink on a blank line and hit enter. 👉🏼 5. 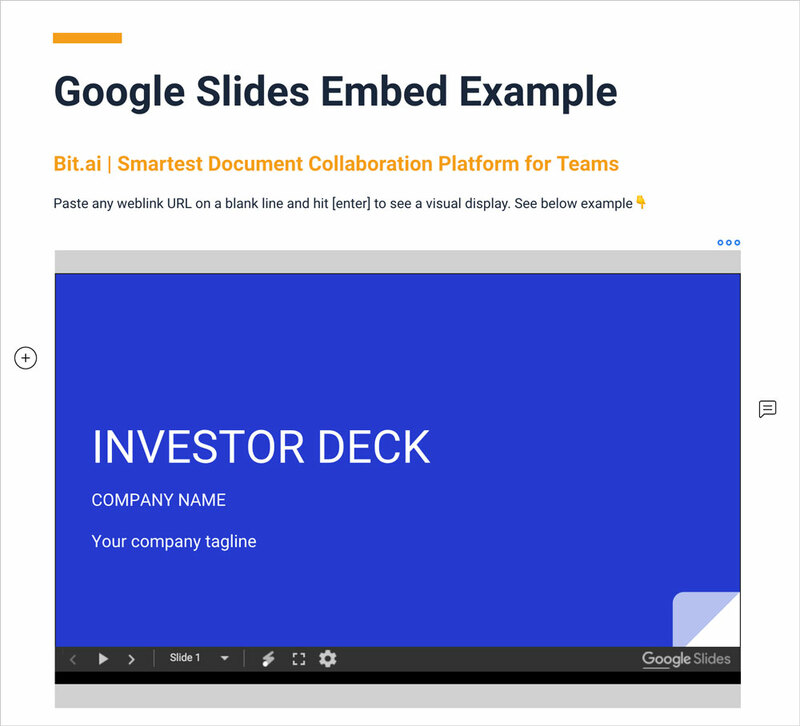 Bit will automatically fetch the Google Slides presentation and display it like this. 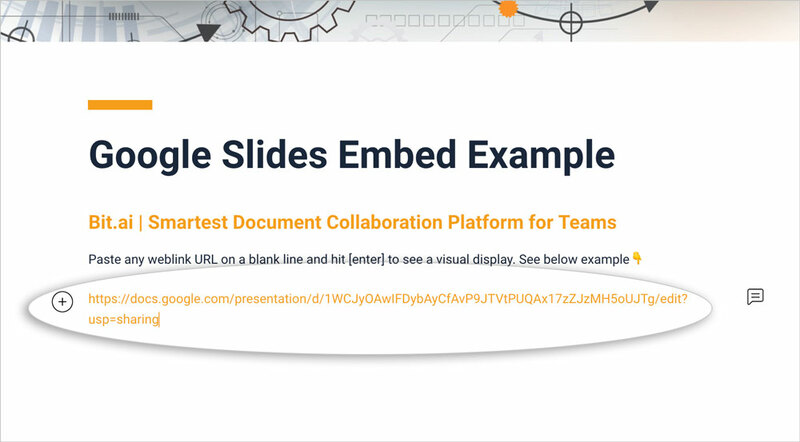 ⭐️Important: Any changes made to this Google Slides will be reflected in this Bit document rich embed in real-time.